Ryan is home! He got back super late Saturday night, and we got to spend two of our three-day-weekend days with our favorite soldier, which was such a treat. The boys were so thrilled to have Daddy back – albeit a little confused. When we got them up on Sunday morning, Spencer greeted me and then said, “Oh! Hi Daddy!” After that, it was all cuddles and love for Daddy all weekend, which makes my mama heart so happy. We had a busy outdoorsy weekend here in Black River. The weather has been hot – so hot, in fact, that we hooked up the AC units. Fun fact…most of the old homes here still don’t have central AC. It just doesn’t make sense because summer doesn’t last that long. Since our home was built in 1880, we obviously don’t have AC, and we purchased portable units that do the trick during the few super-hot days. I digress though. We got to spend time in the sun, playing in the baby pool, doing some household maintenance, barbecuing, and just enjoying one of our final weekends here. 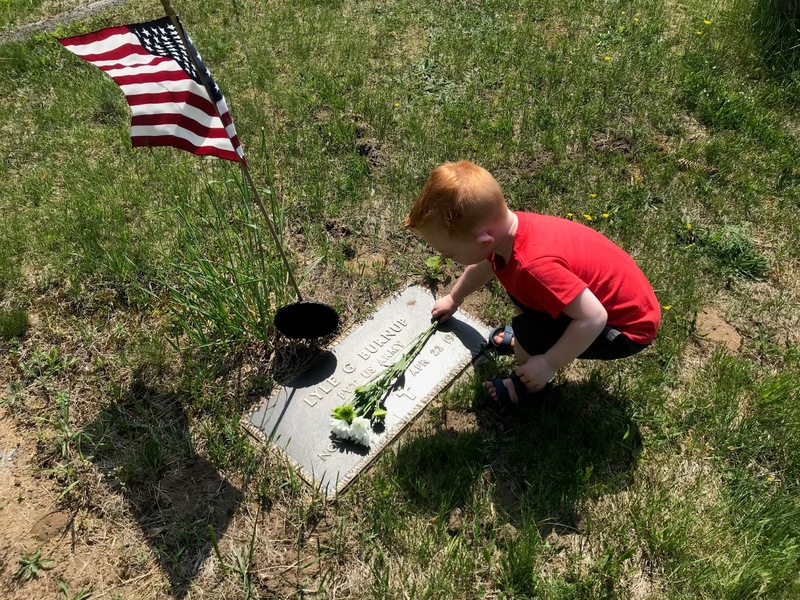 Yesterday, we decided to start a new family Memorial Day tradition. 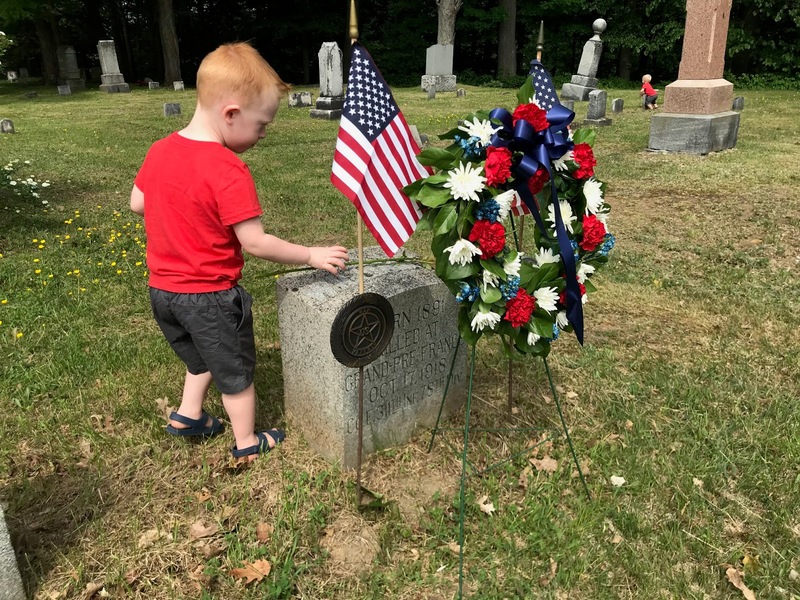 We bought loose flowers, and we went to our local Black River Cemetery. We sought out the graves of our fallen soldiers. Some were from World War I, some World War II, and some were much too recent. 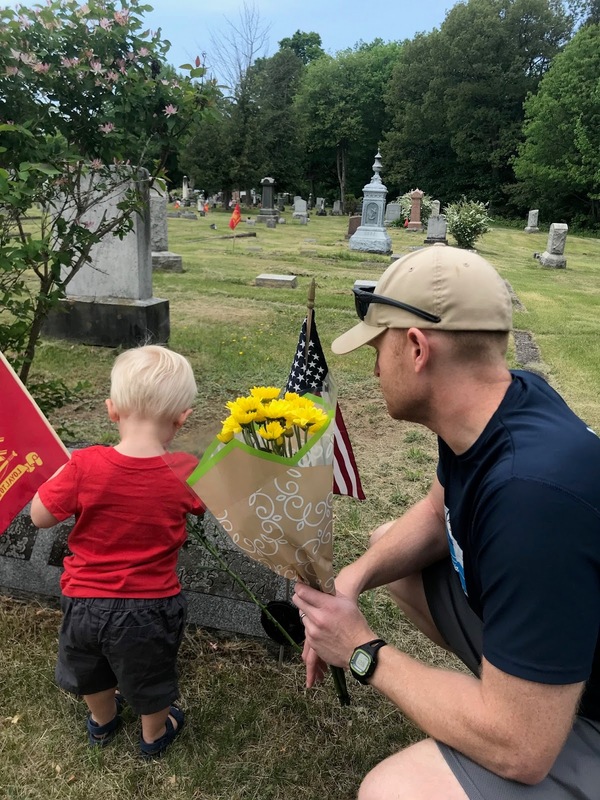 We took the time to put flowers on as many of these graves as possible. 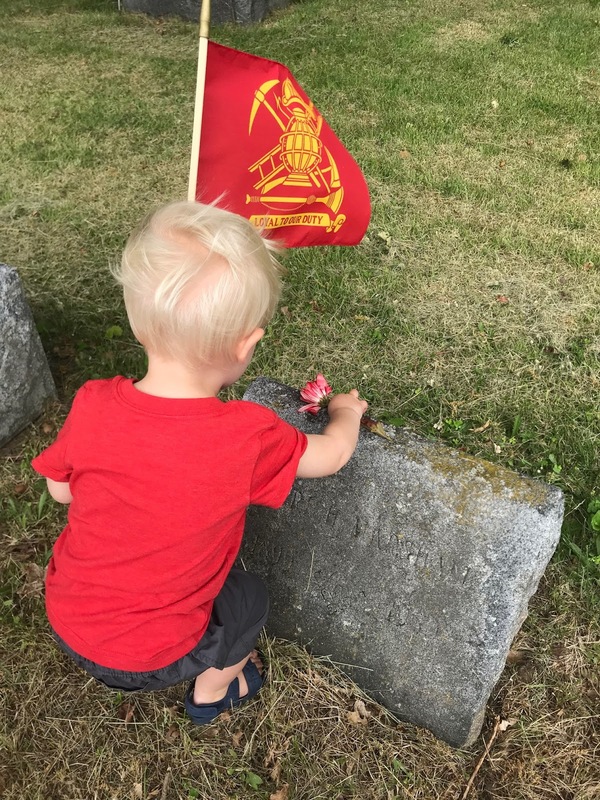 It’s so important to us that we teach our little boys the true cost of freedom, and we show them how important it is to strive to be worthy of their sacrifice. They were somewhat clueless, but they did listen, and they did their best to participate. Plus, it was our first time actually visiting this cemetery. There are so many old graves there for soldiers long-gone. It was beautiful and humbling, and I’m so glad we took the time to do it. 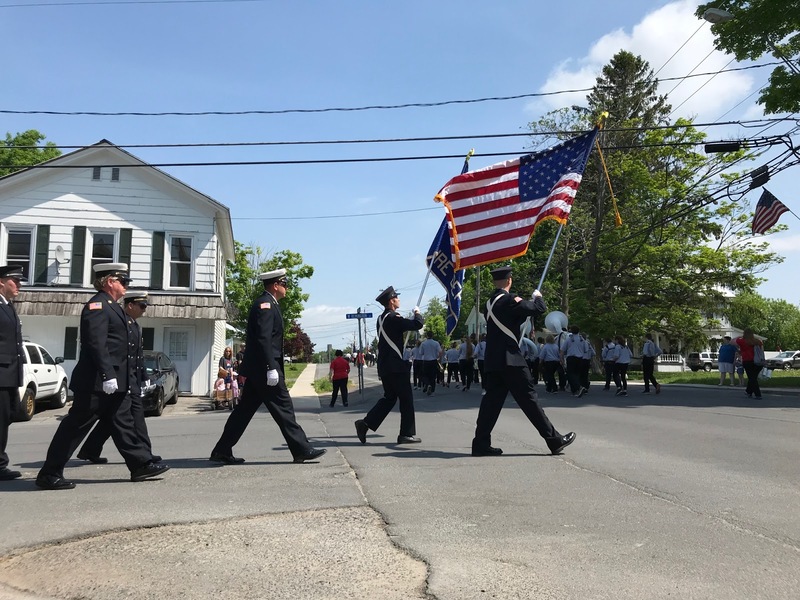 After that, we stumbled upon our local Black River Memorial Day Parade. Can you believe we’ve lived here three and a half years and never saw the parade? Regardless, as we were driving home, we ran into it, so we decided to stop and watch. 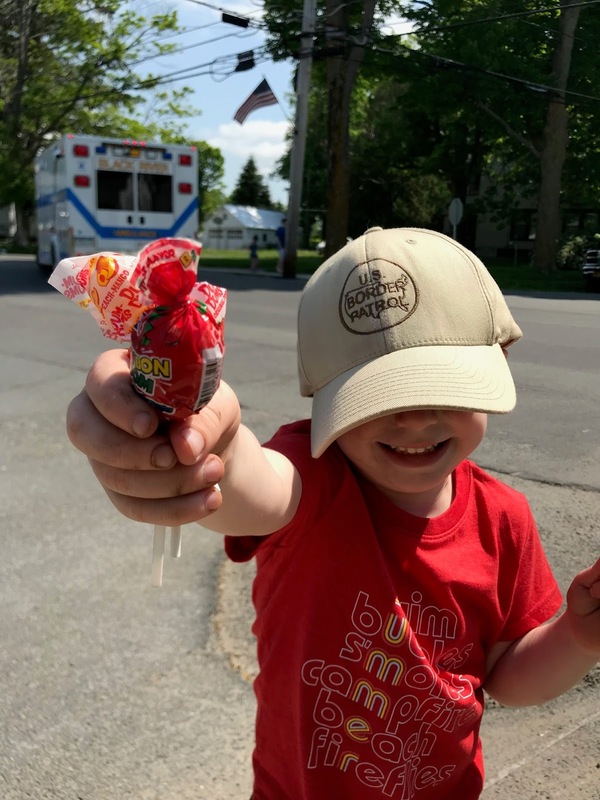 Ryan and I had to laugh because we totally forgot they throw candy at parades. The boys were already in awe of the fire trucks when lollipops came flying in their direction. Basically, it was heaven for them. 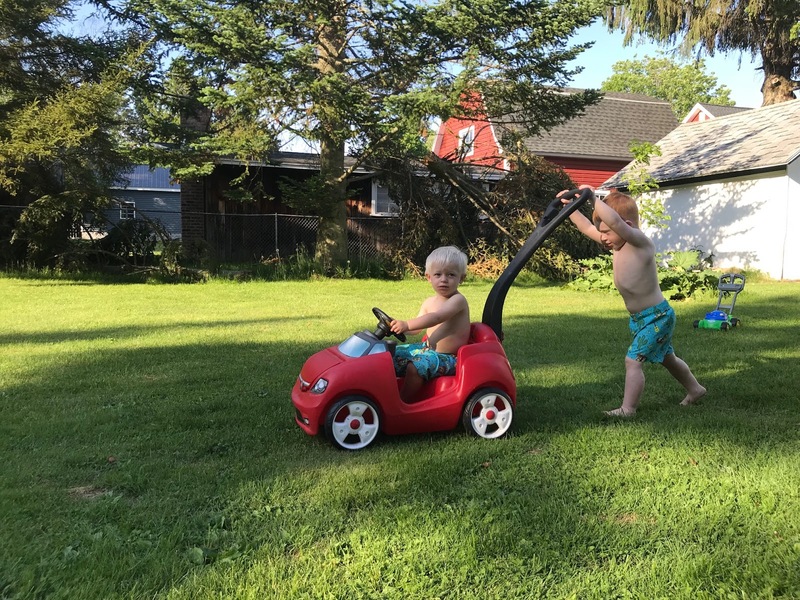 We pulled out the hammock later that afternoon, and while the boys played with the baby pool and water table, we soaked up these last lazy days at Fort Drum. We move next week, so we’re down to the wire. I’ll miss it, but I’m so ready to get this show on the road (literally).